The Sonderanhänger 202 (Sd. Ah. 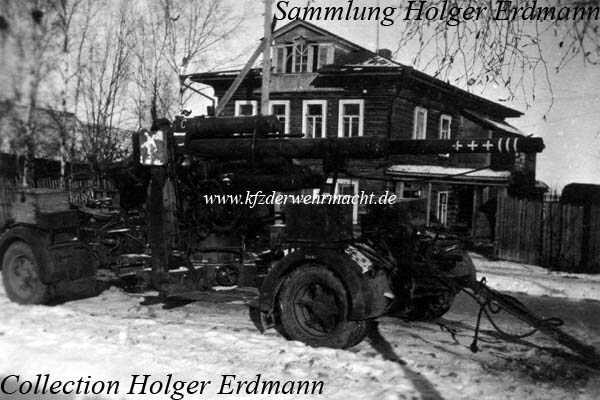 202) - special trailer 202 - was used for moving the 8.8 cm Flak 36, 37 and 41. Contrary to the Sd. Ah. 201, the forward carriage had dual wheels, too.